Communities of Practice are a vitally important part of transformation at Defra. As joint Chief Digital Officers here, we want to encourage as many people as possible to join a community, because we believe there’s a lot to be gained from it. This post explains why we think that. Transformation is about people, because it’s about working in new ways. The better connected our people are, the more efficiently we can operate and the easier our work will be. Communities make those connections possible in the first place, and more meaningful in the long run. Communities thrive when they're active, and being active means having as many involved members as possible. The more brains to spread the load and the more diverse the group, the better. Not all communities have a clear-cut list of potential members, either. For example: the Product Managers community (pictured above) might include people who don't have the specific phrase "product manager" in their job title. All of these communities works across the boundaries that have traditionally separated the various agencies and bodies in Defra. Simply by setting these communities up, we’re breaking down barriers, and helping the organisation as a whole work better together. In times of continuing uncertainty and constant change, change itself is the only thing we can be certain of. Defra as a whole needs to become better at dealing with, and adapting to change. Building strong Communities of Practice is an important part of that, partly because communities give people a place to vent frustration and work out constructive ways to resolve problems together. One thing our communities team has noticed is that there are lots of people in Defra who could join one of these communities, but haven't. A strong community can be a positive force for change within a large and complicated organisation like Defra. Communities represent their members, but can speak on their behalf with one voice. As more people take part, that single voice gains more authority. As the community grows, it becomes a more powerful force for change. There’s more momentum. Communities of Practice are an enabler for digital transformation to happen. 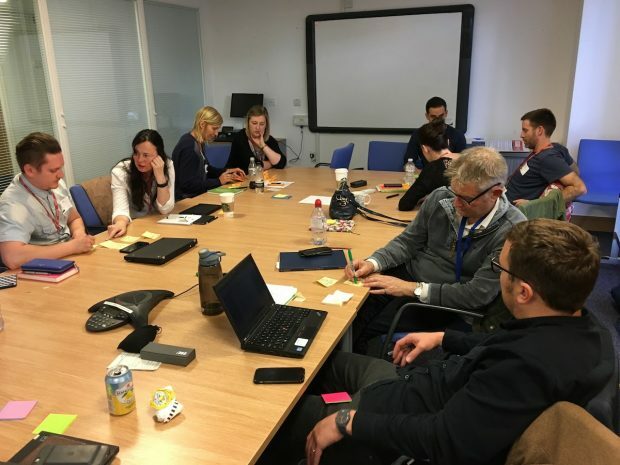 They lay the foundations for creating sustainable change through connecting and supporting people in complex and challenging roles. Bringing together people who share similar challenges, purpose and focus gives them the support and confidence to be successful and allows them to benefit from each others’ experiences. Communities of Practice provide a framework for this to happen. They make us a better organisation. If you can take part in one, do. Coming to this post a little late, sorry! I'm interested in your comment "One thing our communities team has noticed is that there are lots of people in Defra who could join one of these communities, but haven't". Has that changed since this post was published? Have you explored why people don't join relevant CoPs? Would love to have a chat with your 'Communities Team', if you can put me in touch? Thank you for your comment. Good to hear from you. There hasn't been anyone supporting this work at Defra over the last year. But a new communities lead is about to start which shows Defra's firm commitment to reboot and carry on the communities work. We will be in contact so you can get in touch.